Hello there! Can you believe it's SEPTEMBER!?!?! Oh my gosh! Time to start planning those Halloween Cards, layouts and all the other fun Halloween goodies. I've got a freebie for you. How about some 3 x 4 pocket page fillers? 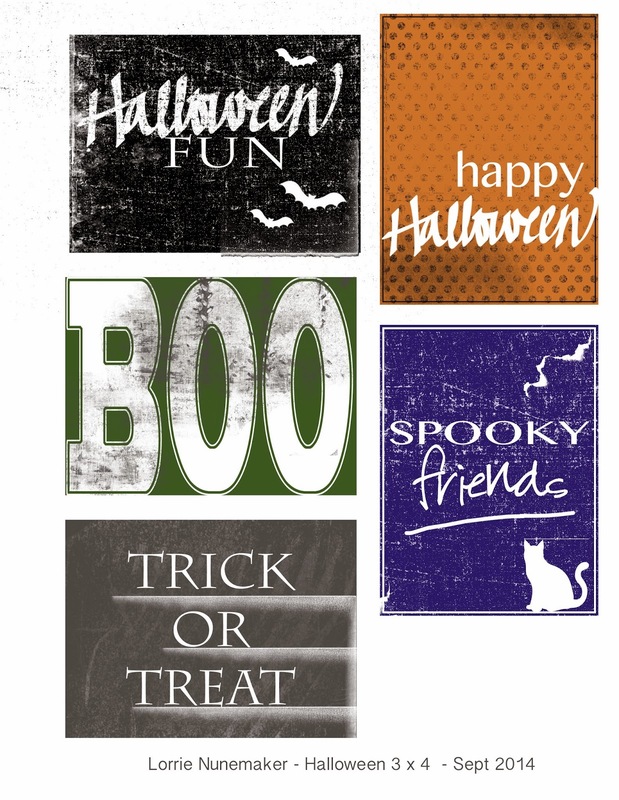 They also make cute card fronts and tags for your Halloween projects. Click here to get your free download.